With the current global economy, it’s important for businesses to take cultural and regional differences into account when translating documents, audio and images. Representing over twenty different countries, OneSpace’s professional, native-speaking translators deliver accurate results at unparalleled speed and quality. OneSpace is trusted by some of the world’s leading brands, from hotel chains and travel sites to publishers and software companies. Automated translation can only go so far. Have peace of mind that your translated messages will resonate with your global audience by incorporating important nuances such as slang, voice and tone. Engage: Improve accessibility for global customers. Optimize: Boost organic rankings in international search engines. OneSpace is a workflow automation platform with a built-in network of professionally trained translators. Every subscription comes with a robust suite of quality-control features designed to help you translate large quantities of assets faster and more accurately than ever before. 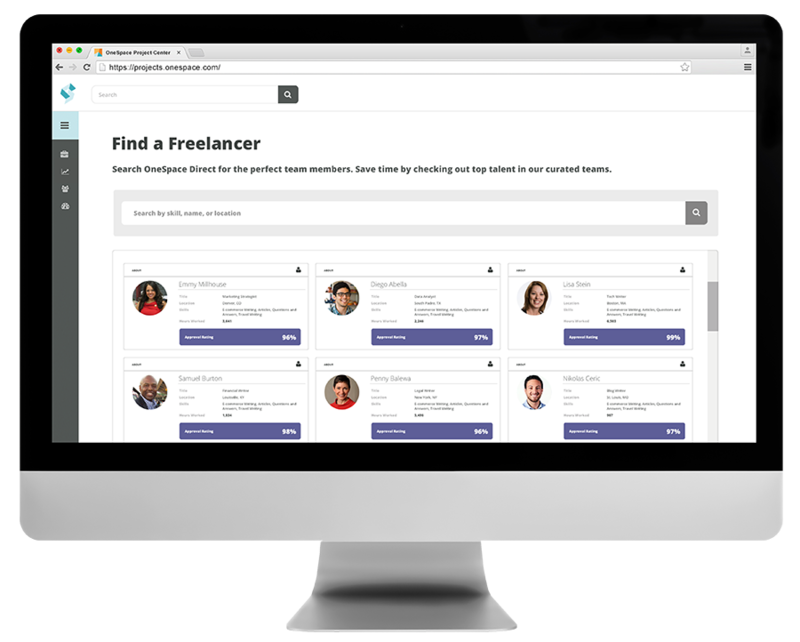 Onboard your existing talent and amplify as needed with instant access to our hand-curated network of freelance translators. Post custom assignments to a virtual workspace that your teams can use to translate assets anywhere, anytime. Translate assets at scale and optimize cost, velocity and quality using our point-and-click workflow automation tools. 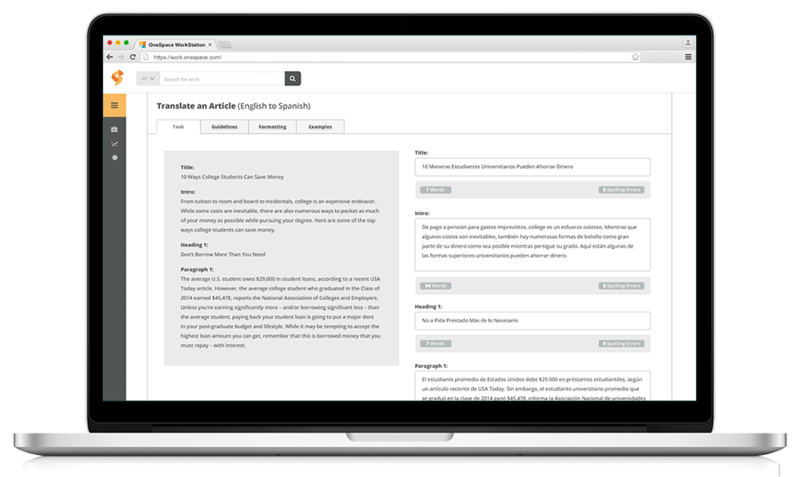 Set up document, image and audio translation projects in minutes using OneSpace’s customizable workflow templates. Each template includes automated quality control features and step-by-step instructions to provide the highest quality outputs. Collect translations in a standard, repeatable format. Be mindful of cultural or regional differences in dialect. Retain original context, voice and tone. Provide detailed definitions of words that are not direct translations. Supply an audio, image or text file, and answer a series of questions to assist the translator. A native speaker translates the file according to the specifications you provide. Send each file to multiple translators for improved accuracy. A trusted reviewer or one of your internal team members reviews the file for accuracy and completeness. 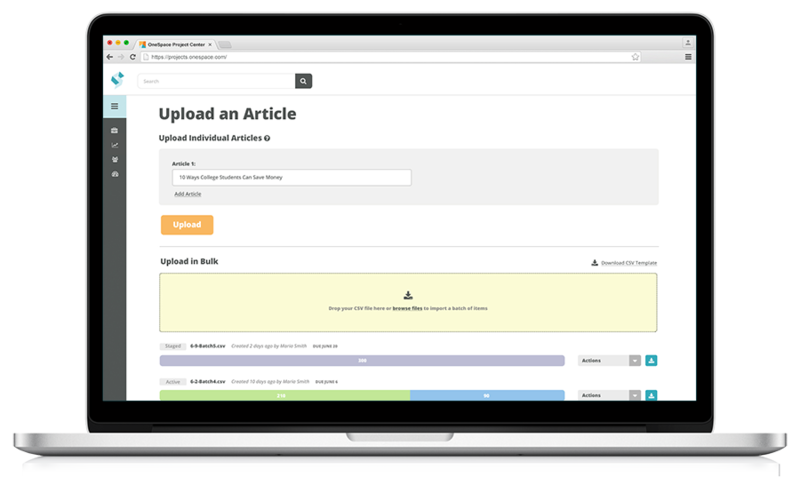 Use our spot-checking feature to limit the number of items sent to review. Download the completed translation, or automatically transfer results to your database via our API. Gain instant access to the best talent OneSpace Direct has to offer with our hand-curated teams of freelance translators. These translators are pre-qualified and speak a wide variety of languages. Have a unique translation need? Leverage our recruitment services to locate hard-to-find talent. "The service that OneSpace provides is extraordinarily valuable, particularly the promptness with which the team offers their support and their willingness to think outside the box to find a solution."